Another gem from the trusty LWA headmistress in Chicago. 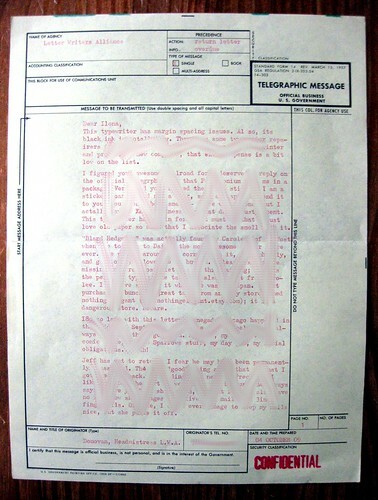 I think the envelope was made of a topographic map. 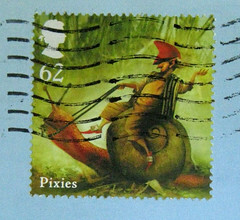 The green sparkly star stickers contrast nicely with the postman in the corner. 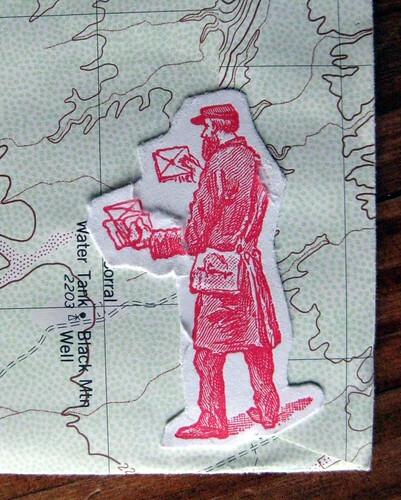 Incidentally, I am SO taken with this postman. He made me squee. It is a cutout, but did it come from a rubber stamp? I would love to know. 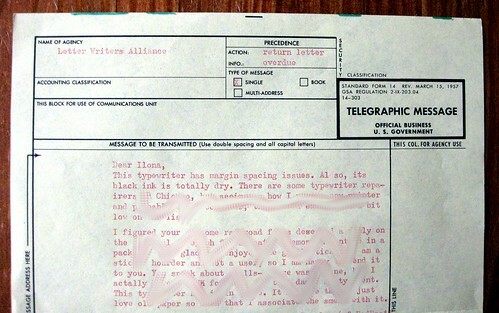 More vintage squee-able goodness: the first page was typed on an official "telegraphic message" form. CONFIDENTIAL! I got a chuckle out of the "return letter overdue" classification. Official business, US Government, March 15, 1957. Love it! Mmmmm, mail deliciousness! 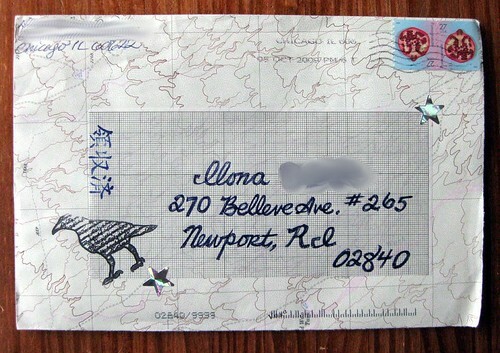 Donovan puts out some fabulous mail, I could spend hours looking at her mail-photos over and over again. 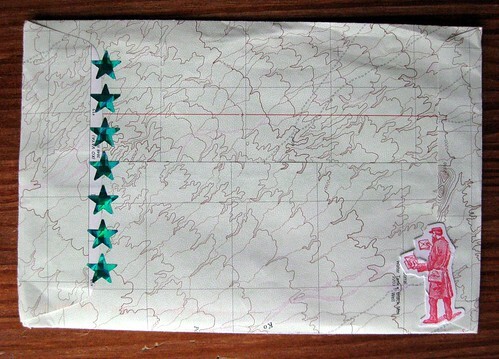 :] Pleasseeee post more awesome mail like this, I love these kinds of envelopes/letters/mail-art. :] Yummm. Sweeeeet, both the form and the typewriter. Still in the market for a typewriter; I found an old Selectric but it had mechanical problems. To answer your question, the mailman is from a card I recieved which said, "I expect a thank you note for this thank you note." Whoa, DB, that is pretty awesome. I covet that thank you note.